Why should you visit San Francisco and choose a private Tour with us? San Francisco is the crown jewel of California and the most European city in the United States thanks to its rich history and cultural background. Did you know that most of San Francisco's picturesque attractions and neighborhoods including Alamo Square and Lombard Street are restricted to large vehicles and bus tours? By booking a private SUV tour, you choose quality over quantity so you enjoy full access to all of San Francisco's famous and off-the-beaten path districts including; the famous Lombard Street, the iconic Golden Gate Bridge, the painted ladies Victorian homes at Alamo square, Sea Cliff, Telegraph Hill and much more. Moreover, we provide outstanding custom guided tours of San Francisco Bay combined with Alcatraz Island ferry cruises’ tickets included in the tour price. Our drivers are local and experienced tour guides who have earned over 1000 five- star reviews online including on Yelp and Trip Advisor. Book your favorite San Francisco tour now, we will do our very best to meet and exceed your expectations. Unlike all San Francisco city half-day express tour, this full day private custom tour by luxury SUV will cover more sights and attractions than the city half-day tour, you will not feel rushed and will have plenty of time to step out of the vehicle, enjoy a walking guided tour to each sight and monument of your choice. You will also visit wonderful sights and hidden gems and gain access to amazing neighborhoods restricted to bus tours including Telegraph Hill, the famous Lombard Street, scenic Hyde Street, Sea Cliff, Baker Beach, the "Painted Ladies" homes at Alamo Square, Russian Hill, Mission Districts, Potrero Hills and much more sights and attractions you will be visiting during your San Francisco sightseeing custom tour. Alcatraz and San Francisco Custom Guided Tours- The Inescapable Adventure! The legendary Alcatraz Island is the most visited attraction in San Francisco Bay Area. This picturesque Island has a long history as a federal prison and featured in many famous movies including "Escape from Alcatraz" with Clint Eastwood, but also the “The Rock", starring Sean Connery, Nicolas Cage and Ed Harris. Alcatraz Island became extremely popular and tickets are sold out two months in advance, the sooner you book this popular trip to Alcatraz Island the better. Add Alcatraz and San Francisco combo tour and adventure to your bucket list, this sight is one of the top must-see attractions in California. This very popular adventure combines three iconic tourist destinations and attractions in one day custom guided tour: a trip to the ancient forest of giant redwoods in Muir Woods National Monument, a tour of the famous coastal Mediterranean town of Sausalito, and a guided tour of San Francisco top attractions and sights including but not limited to Lombard Street, the Golden Gate Bridge Chinatown and much more sights and attractions you will be visiting during this full day amazing San Francisco , Sausalito and Muir Woods combo tour. Our San Francisco morning and afternoon custom guided tours are available daily and can be customized to your own schedule, departure time and pick-up location to meet your tour needs and expectations. We offer daily private and small groups’ custom guided tours by luxury SUVs and luxury Vans for groups of 14 guests or less. You will see amazing sights and iconic attractions such as the Golden Gate Bridge, Golden Gate Park, Twin Peaks, the Painted Ladies at Alamo Square, Fisherman's Wharf, Chinatown, Nob Hill, Union Square, North Beach, Financial District, Ocean Beach, Pacific Heights, the Palace of fine Arts and much more. Explore the top sights and muse-see attractions of the City by The Bay thanks to our San Francisco Private Tours during your stay in San Francisco. This half-day city private tour of San Francisco is combined with a one-hour bay cruise trip ferry tickets and tax included. Bring your camera and enjoy incredible photo opportunities from different angles of the city and from San Francisco Bay. This bay cruise sightseeing tour will take you around the notorious Island of Alcatraz, under the Golden Gate Bridge and along the waterfront of San Francisco Fisherman's Wharf. This is an amazing way to see San Francisco's entire waterfront sights and attractions, San Francisco skyline and some other neighborhoods inaccessible to ground transportation. You will also sail along the famous swimming clubs of the Aquatic Park, the WWII submarine USS Pampanito, the Merchant Vessel USS Jeremiah O'Brien, the Historic Vessels at Hyde Street Pier and the San Francisco Maritime National Park. As you head west towards the Golden Gate Bridge, cruise along beautiful landmarks and sights like Fort Mason, Marina District, Palace of fine arts, Baker Beach, Crissy Field, Marin Headlands, Sausalito, Angel Island, and the lush hillsides of the historic Presidio. Book this popular San Francisco and Bay Cruise Combo Tour and enjoy an unforgettable touring experience in the City By The Bay. Join our local and passionate tour guides to experience San Francisco popular attractions and hidden sights, famous monuments and picturesque bridges sparkling at night! Enjoy the nightlife of our beautiful city of San Francisco as we drive you from nocturnal neighborhoods like North Beach and up to the picturesque hills of Nob Hill, Telegraph Hill and to the famous Treasure Island. You will also enjoy spectacular views over the Oakland Bay Bridge and the Golden Gate Bridge as we drive you all the way up to Marin Headlands where you will enjoy sweeping views of the skyline of San Francisco. Join us now and catch a glimpse of Height-Ashbury as we drive up to the breathtaking Twin Peaks overlook, down to Alamo Square and other neighborhoods. Our San Francisco night tour is something you should experience because this trip is different from all other city tours and offers a unique perspective of San Francisco. 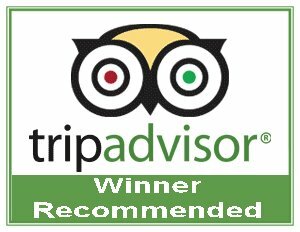 We booked this full day custom tour based on reviews from Trip Advisor, and was very well pleased. Our tour guide was Patricia, and she was very accommodating to our needs. She was very knowledgeable of the city, and patient with our needs. Even 8 hour full day tour seemed short; this city is wonderful and got so many amazing places to visit.